This is a thought I have been mulling over the last week or two. About two and a half months ago, I took the perfect job for me. Seriously, at this point in my life the job is totally perfect. The job allows me to live what I love, use my skills and personality and love people for Jesus. The first month I was here I basically didn’t sleep at all. Literally, even when I would lay down to sleep I would lay in bed awake for hours, finally doze off and never fully reaching REM sleep for the first month. — Praise the Lord for coffee.. not. even. kidding. The second month I became ill… As in I slept for days, coughed until my insides hurt with every movement, and finally went to the doctors two weeks later only to discover I had to get four different medications in order to get over whatever ridiculously-long-named illness I had. Once the medication was over, I was not completely better, but was around 95% of the way there… But, I had work to do, so I kept plowing through. Since Thanksgiving, I have been working in the vicinity of 80 hours a week because things simply have to get done as soon as possible. During those three weeks, my great grandma passed away, and I took exactly one day (Saturday) off to do homework. I have gotten to roughly 40% of the things on my to-do list, and even still the things that I have gotten to are not the essential trainings that I need to pull together and create to begin implementing and training people for the changes in programming we are doing.. (GAH!) Did I mention I also had homework to fit in? And, even in the midst of all of this, I have gotten negative feedback (and just to be clear, not all of my feedback has been negative). I knew taking this job would put me in front of a firing squad so to speak. I also knew, that I would have a lot of difficult times ahead as God moved and asked people to change, and as He used me in whatever way He decided to in order to do that. I also knew that it would be difficult to do all of these things without my close and best friends around to support me or to distract me.. or make me laugh.. or get me out of my own head.. or tell me that I am acting crazy… (seriously, my friends have no idea how much I truly rely on them). So, back to my question, will you love me when I am ugly? Will you love me when my patience wears thin and I snap? Will you love me when I say something wrong? Will you love me when I don’t have the answers? Will you love me when I make the wrong decision? Will you love me when I fail? Will you love me when I didn’t plan something well? Will you love me when I don’t do what you wanted me to? Will you still love me when my ugly is showing? Will you still love me before I am put together and presentable? I am not necessarily looking for comforting words, I am not fishing for encouragement, nor am I interested in people feeling sorry or bad for me… Instead, I just wanted to push others to think. When I (or anyone around you) fail, will you still love them? Will you care for them and forgive them?.. Or will you choose to say things that are not helpful, give feedback that does not spur on to be better, especially before you know the full story or what is really going on. Will you come along side them and figure out what you can do to help? 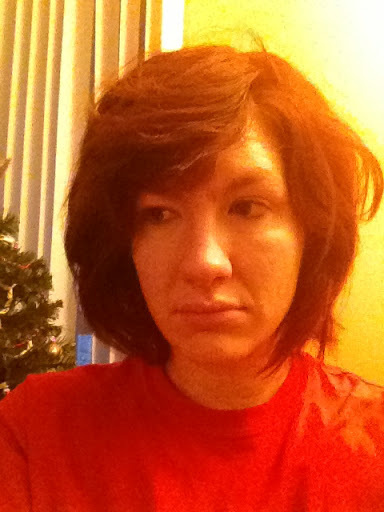 This entry was posted on December 20, 2012 by kpbback in Beauty, Stress, Ugly, Work.